Don't want to pay $149.00 ? The Birko 5 Micron Double Action Water filter suits Birko under-sink Boiling & Chilling Systems. 5 Micron Filtration removes dirt, rust and particulates that contaminate drinking water, eliminates offensive odours by reducing chlorine and other chemicals and removed organic contaminants. Birko Compatible Sub-Micron Triple Action Water filter suits Birko under-sink Boiling & Chilling Systems. Birko HydROtwist compatible Su.. 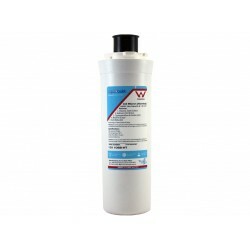 This compatible Everpure/Birko 1311047 water filter cartridge is an affordable replacement featuring double action water filtration. - Carbon blo..